Flooded homes and buildings can be impossible to deal with. With mold concerns, risks of contaminated water, and extraction topping the list of priorities, knowing where to start poses a challenge. AAA Restoration takes that burden off your shoulders. Our flood restoration services restore your property to its pre-flooded condition. You don’t need to arrange one service after the other; our team manages the cleanup from start to finish. Black mold spores can form within two days after flooding occurs. Furniture damage. Moisture seeps into the furniture, which provides an ideal habitat for mildew, mold, and fungi. Damage to ceiling tiles and the drywall. 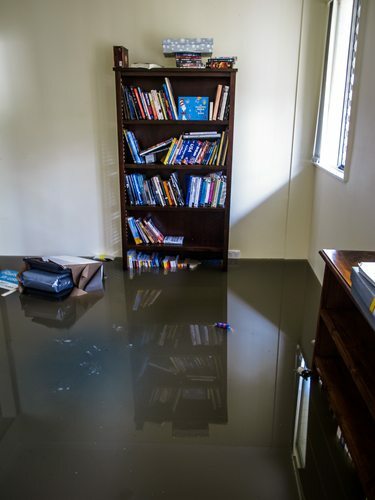 Evaporated floodwater causes ceiling tiles, the drywall, and flooring to crack, sag, or separate from the framework. Our process begins with the removal of standing water. Using powerful pumps, we drain water from inside, around, and under the home to prevent further damage. Next, we use deodorizers and disinfectants to remove mildew, fungi, mold, and unpleasant odors. Our team also uses industrial-strength dryers to remove moisture from the air before it seeps into and behind your floors, walls, and ceilings. To complete the process, we re-inspect the damage and restore salvageable items. Don’t let flood damage compromise the structural integrity and aesthetics of your home. Trust AAA Restoration to extend a helping hand during such scenarios. Get in touch with us today to learn more.